Many people only contact a Podiatrist when they have pain or discomfort in their feet. Quite often people are not aware of the full range of services a podiatrist can offer. Most people think of nail cutting as the main service which a podiatrist provides, but that's only one small part of the treatments available. 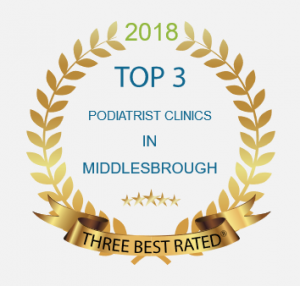 Podiatrist offer a range of services from treating verrucae, painful corns and cracked and painful hard skin and ingrowing toe nails, verrucae, through to assessing and treating pain in the feet and lower limb. Your entire body is supported from your feet up over, so if they are not moving correctly they can cause problems elsewhere such as the ankles, knees, hips and even the lower back. Biomechanics is the field of podiatry which looks at the posture and movement of the foot to the relation of the body. Many foot problems can be corrected by simple exercises or by the use of insoles / orthotics to help support the foot and reduce pain. Podiatrists also play a critical role in the health care of diabetic patients. Routine foot health checks help keep the foot and patient mobile.